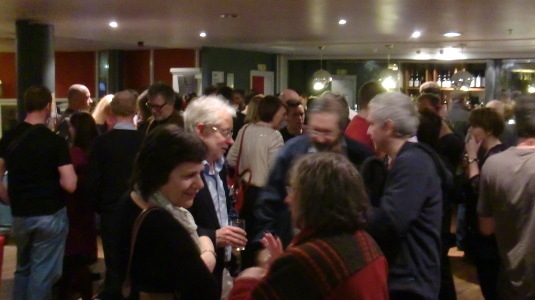 I was passing through the Television Centre BBC Club bar on the evening of Saturday 23 March 2013 (as you do), and the next thing I knew, I was ‘accidentally’ attending the last TV News party at TC (at least as far as I know). Quite a number of those at the do I had first met at Lime Grove Studios in the 1980s, when it was first the Topical Production Centre, and afterwards the Current Affairs Production Centre. The party was formally being held because of a number of staff leaving Television News, but it turned into a opportunity to meet up with colleagues from the past and present. A great night, and thanks to the organisers for making it happen!